Indian dancers Hema Seshan, Asha Bala and Suma Nair form a traditional Bharata Natyam pose. Every detail from finger placement to the gaze are carefully set to have the correct technique. When Asha Bala began her Indian dance training at a respected school in Mumbai, India, at age 3, she was jealous of her friends who got to play outside — instead of spending their afternoons in a dance studio. 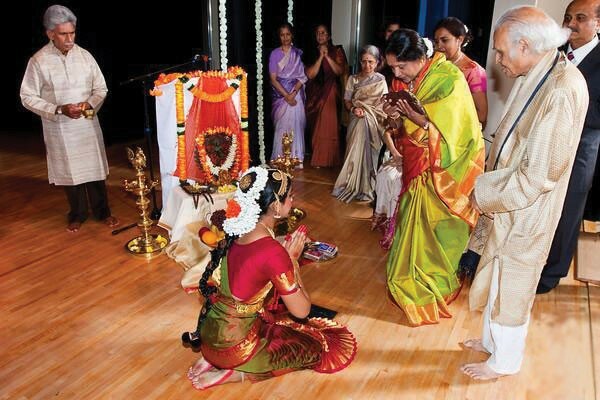 But a few decades, a lot of hard work and two master’s degrees later, Bala is now the first South Asian woman to win the N.C. Heritage Award for the art of Bharata Natyam dance. The N.C. Arts Council awards the prestigious N.C. Heritage Award to traditional artists in North Carolina who have embraced their own culture in a way that has made an impact on the state. 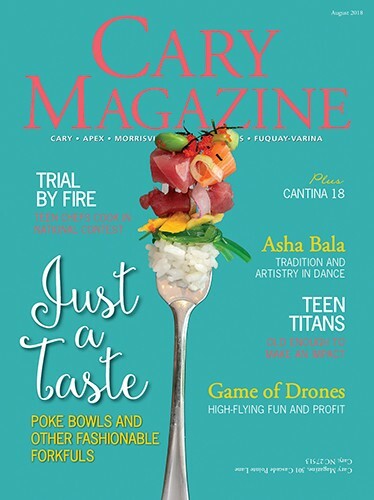 “These are the arts that arise over time, through history, and tend to reflect the arts of the community, especially a long-lived community or a group that is closely knit due to ethnicity or history or geography,” said Sally Peterson, folklife director at the N.C. Arts Council. The council has honored 26 people since the award was founded in 1989. Of the 25 to 30 nominations received each round, the council typically chooses about five people to honor. Bala is one of the most recent recipients. 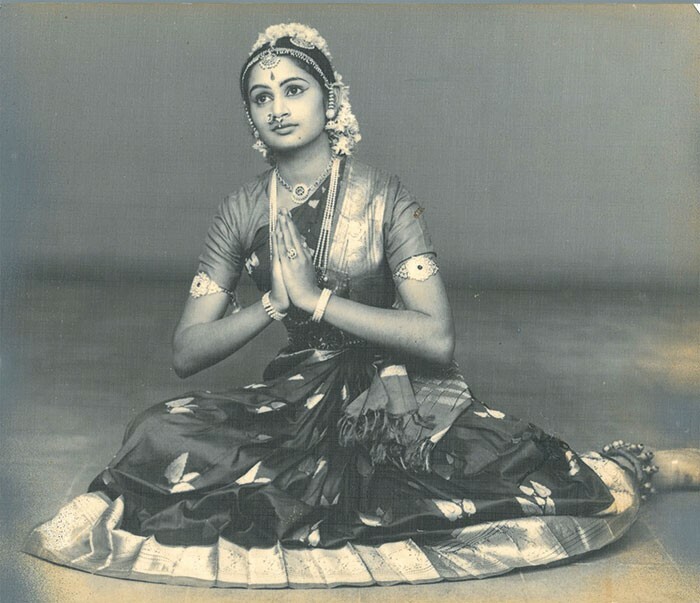 Young Asha Bala, 14, poses during her first full-length dance solo called Arangetram. Years ago, Bala opened Nritya Shala, her first school, in India, where she taught classic Bharata Natyam technique for 10 years. She later moved to the United States, where she studied modern dance at American University in Washington, D.C.
Students receive dancing bells that have been sanctified by placing them at the altar and then blessed by her guru, family members and well-wishers. The dancing bells are the most sacred symbol of Indian dance and the most important part of a dancer’s wardrobe. Coming from a classical training background, Bala encountered a steep learning curve when it came to modern dance. The moves no longer had names or specific form. 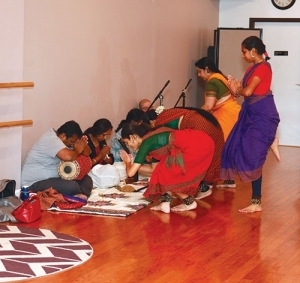 Through her studies both in the classroom and the studio, Bala learned to love and embrace the differences between classical Indian dance and a more modern style of dance. “That was the moment when my transition from a Bharata Natyam dancer to just a dancer was complete,” she said. In 2006, Bala opened the Leela School of Dance in Cary, where she is owner, teacher and choreographer. Asha Bala poses on stage at Cary Arts Center during one of her pieces in the Leela School of Dance performance on April 15. Throughout the years, the younger generation has always been important to Bala. In graduate school, her thesis explored how teaching Indian dance to those who have not yet been exposed to the art can bring a deeper understanding of a different and unique culture. Students pay their respects to teacher and orchestra members before and after practice. This picture was taken when rehearsing for the 77th National Folklife Festival in Greensboro in September 2017 hosted by the N.C. Arts Council. 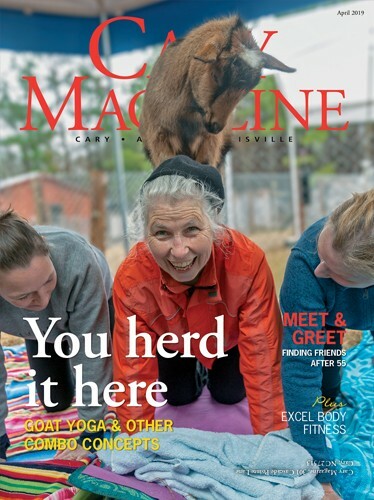 By combining hard work and an enthusiasm for learning — both teachers and students — Bala’s school has continued to flourish in an area that is growing more diverse every day. As Leela School of Dance grows under her instruction, Bala looks to the future with the goal of setting up a dance company in the years to come.